- With only two weeks left in the annual "Bound For Glory Series" for a shot at the World Heavyweight Championship, the stakes have never been higher! Thursday&apos;s IMPACT WRESTLING broadcast will feature THREE huge BFG Series bouts as "The Charismatic Enigma" Jeff Hardy faces Olympic gold medalist Kurt Angle, Rob Van Dam battles "Cowboy" James Storm, and longtime rivals collide as AJ Styles takes on Samoa Joe! - What is the condition of World Heavyweight Champion Austin Aries after the brutal attack by The Aces & 8s gang this past week? Tune in for an update on the champ! The TNA roster has gone to war against The Aces & 8s...and the IMPACT Zone will be the battlefield this Thursday at 8/7 on SpikeTV! - Will "TNA Gut Check" prospect Kris Lewie earn a contract and a spot on the TNA roster? The newcomer faces the judges on the broadcast! 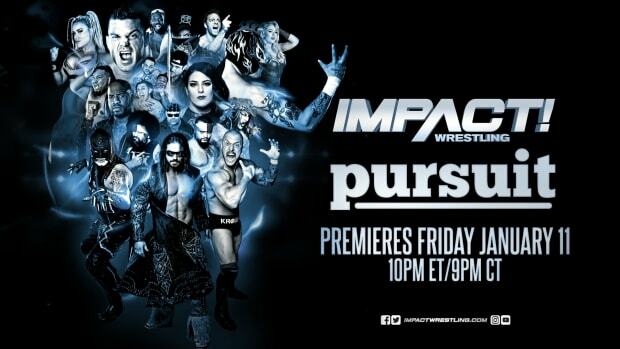 We’ll have exclusive live play-by-play coverage of Impact Wrestling tonight here at WrestlingNewsWorld.com at 8 PM EDT.